Click button below to access site menu. 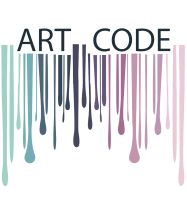 ART CODE is an interior design company renowned for connecting art and décor. Our main office is located in Al Olaya View, Riyadh, Kingdom of Saudi Arabia. Click buttons below to scroll up or down. Should we treat art works or paintings as an afterthought? A painting embodies an additional personalized look to a home décor. It also annexes the interior with a visual art and culture of the house. Which painting will compliment the theme of the house, where to place that outstanding art piece? A home’s interior design is defined by its details. Of course, the furniture, color, and layout of every room must be cohesive and logical, but the smaller, often-overlooked facets of design—including the selection of art—are what really make a home unique and vibrant. While not every wall needs to be a gallery showcase, a piece of art that brings out certain shades and colors can utterly transform rather than simply decorate a room. Artworks set the tone for a room and reflect the personality of the people who live there. In most of our projects, we highlight paintings which matches the interior design colour and theme, design abstract paintings in a way that won't overwhelm the spaces they are placed in. We make sure that they sit harmoniously within the interior and match in terms of colour and theme. © 2019 ART CODE | All rights reserved. Powered by Sitelio. Should we treat art works or paintings as an afterthought? A home’s interior design is defined by its details. A painting embodies an additional personalized look to a home décor. It also annexes the interior with a visual art and culture of the house. Which painting will compliment the theme of the house, where to place that outstanding art piece?